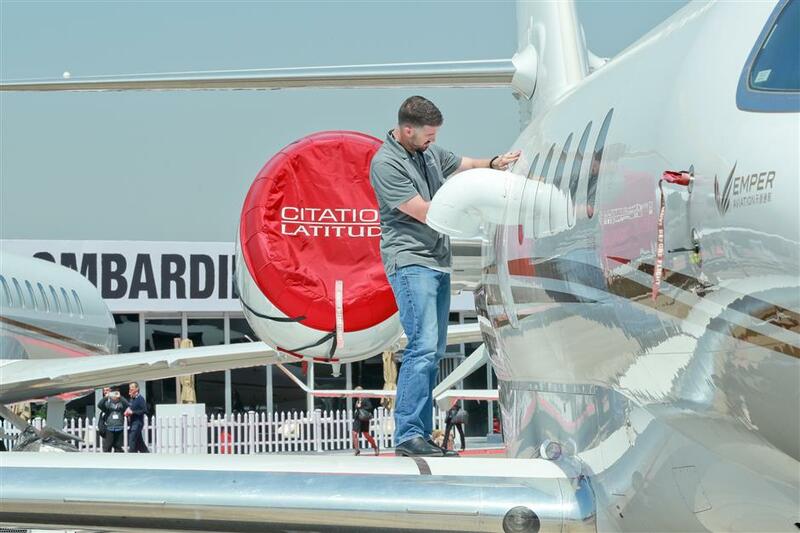 Over 30 advanced business jets and helicopters are on display at Shanghai Hongqiao International Airport for the 2019 Asian Business Aviation Conference & Exhibition. A maintenance worker cleans a business jet for the 2019 Asian Business Aviation Conference & Exhibition that begins at Shanghai Hongqiao International Airport on Tuesday. Shanghai's two airports handled fewer business jets in 2018 as the industry entered a "steady development stage," a senior official with Shanghai Airport Authority said on Monday. 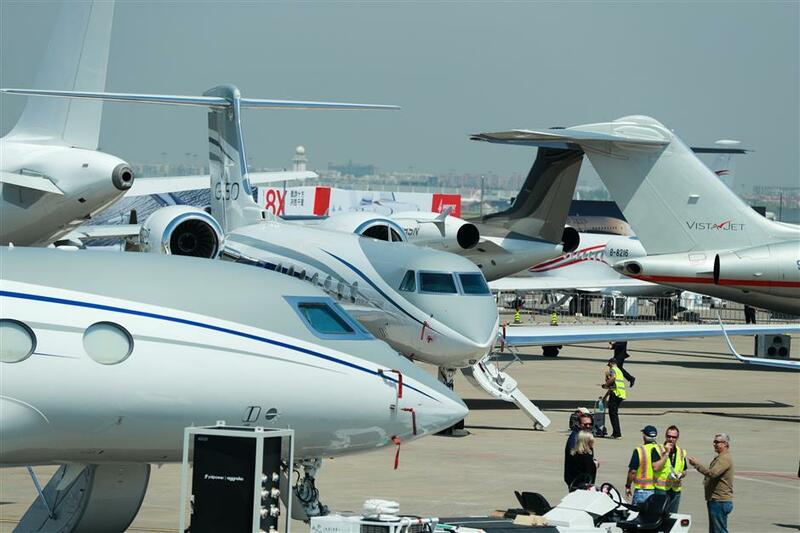 A total of 6,366 business jets took off and landed at the Hongqiao and Pudong airports last year, a 4.5 percent decline on the year, Lu Xun said ahead of the 2019 Asian Business Aviation Conference & Exhibition that opens on Tuesday. Over 30 of the world’s most advanced business jets and helicopters are on display at Shanghai Hongqiao International Airport from Monday as part of the annual exhibition which runs through Thursday. Hundreds of business aircraft makers and operators, including Airbus, Embraer and Bombardier, are displaying their latest products. China's business aviation industry started around 2010 and has gone through the rapid expanding and increasing periods, Lu said. Business aviation facilities at the two Shanghai airports were now fully sufficient for demand. The Hongqiao business aviation center, for example, is designed to handle 6,000 business jets annually but served a total of 3,850 last year, according to the airport authority. "Though the industry has entered a steady development stage, it still has great potential," Lu told a press conference for the exhibition. "The industrial focus has shifted to quality and the prosperity of the whole industrial chain, from merely the increase of quantity," he said. The Global 7500 business jet of Bombardier makes its international debut at the 2019 Asian Business Aviation Conference & Exhibition. China has some 230 operating general aviation airports with over 3,000 general aviation aircraft, which include business and private jets as well as those used for agriculture, construction, medical services, disaster relief and other fields. The number has tripled that of 2010, Lu said. The Chinese mainland is operating the largest business jet fleet in the Asia-Pacific region of 338 jets in 2018, followed by Australia and India, according to Asia Sky Group, which releases business jets reports annually. However, both the mainland and Hong Kong saw a slowdown in their fleet growth last year, said Jeffery Lowe, managing director of the group, on Monday. 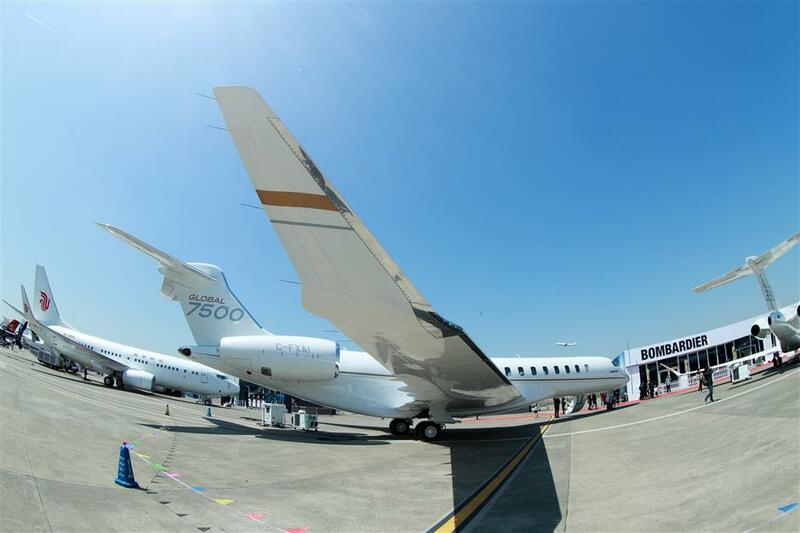 The exhibition, which has been held for eight years, offers potential buyers the opportunity to experience the jets and a platform for industry leaders to discuss the emerging Chinese business jet market. As one of the first deals made at the exhibition this year, Bombardier announced that Hong Kong aircraft management company HK Bellawings Jet Ltd firmed up an order for four Global 7500 business jets, the newest jet from the Canadian maker that was making its debut at the exhibition. One of the most eye-catching aircraft at the exhibition, Global 7500 has a range of 7,700 nautical miles (14,000 kilometers) which could allow it to connect the cities of Beijing, Shanghai and Hong Kong to New York, London or Milan non-stop. The jet has a kitchen and a master suite with a permanent bed and standup shower. Thousands of participants are expected to take part in the exhibition this year, making it the largest business aviation exhibition in Asia, according to Ed Bolen, president and chief executive of the US National Business Aviation Association, which organizes the annual event with Shanghai Airport Authority. Over 30 advanced business jets and helicopters are on display at Shanghai Hongqiao International Airport as part of the 2019 Asian Business Aviation Conference & Exhibition.